Reebok running is on the rise. The Reebok team now has a standout trainer for daily runs, speed work, and racing. 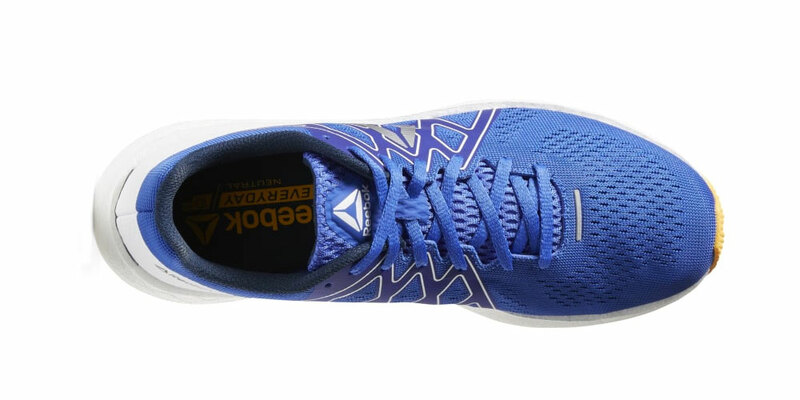 It sorta baffles my mind that other running shoe manufacturers struggle to get one exceptional shoe out, while Reebok has superior shoes in every category. The formula seems obvious: simple no frill uppers, low weight cushioned midsoles, and throw on some rubber on the outsole. One of my favorite all time shoes was the Nike Streak 6. 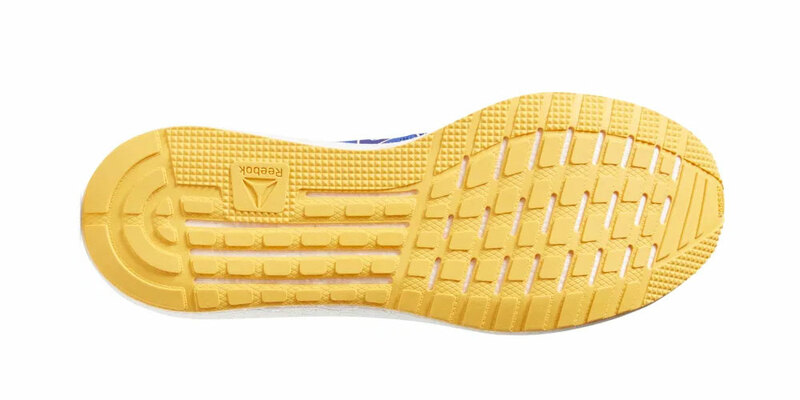 Reebok took the basics from that shoe and modified them into three different shoes that all perform above the pack, including this model, the Reebok Forever Floatride Energy. Thomas: Real talk, Reebok is becoming one of my favorite brands to run in. Instead of trying to make a mark in a crowded market with a gimmick, the company relies on nailing down the basics. There is nothing overly flashy about the Floatride Energy. It has a breathable mesh upper, thin-but-cushioned tongue, one-piece foam midsole, and lots of rubber on the outsole. That’s it. Like a well put together sandwich, the basics are all you really need. There’s a reason the club sandwich is on every lunch menu. The upper of the Floatride Energy is an engineered mesh with welded overlays on the lateral and medial side (i.e. both sides of the shoe) to create secure lockdown of the arch. The heel counter and collar are lightly padded and comfortably lock down the heel. An un-attached tongue and flat laces finish off the fit of the shoe. There is no removable sock liner. The midsole is magical. Responsive and soft like BOOST, but much lighter. 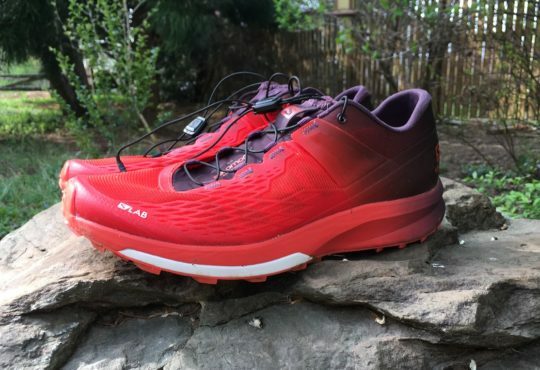 I have 64 miles on the shoe, including a 20-mile LSD. 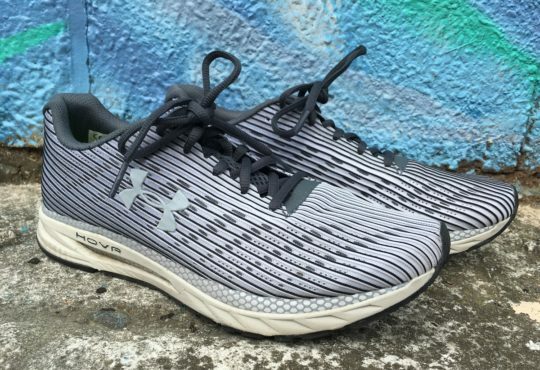 This midsole makes those miles feel a lot easier on the legs. The ride is near perfect for easy miles, but just a little too soft for fast workouts. The carbon rubber outsole is durable and gives the Energy a smooth ride. The drop is close to 10mm, and my size 10.5 weighs 9.42 oz./267 grams. 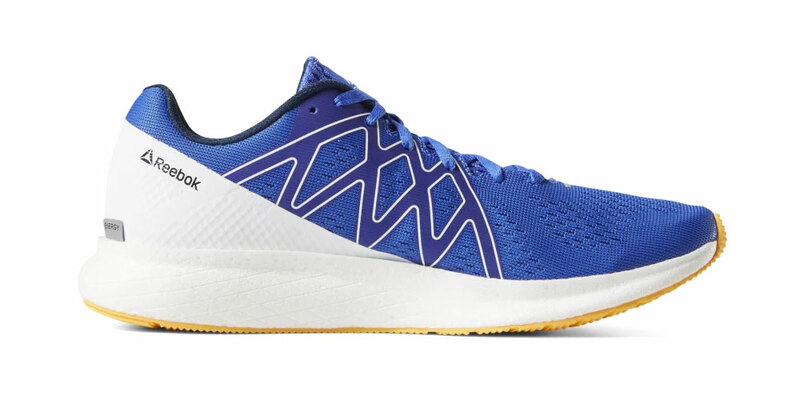 There aren’t too many shoes to choose from in the $100 price range; the Reebok Forever Floatride Energy is a tremendous deal at that price point. It simply performs well above an entry-level shoe. I already know this will be a contender for our B.I.G. Awards at the end of the year. Meaghan: You guys. The Reebok FloatRide Energy is a game changer. Straight up: you’re going to want to add this shoe to your collection. It features Reebok’s newest Floatride Energy foam that’s super soft but responsive and feels freakin’ great underfoot. There’s even a fancy ‘EVA support rim’ that allegedly centers and balances your foot throughout the gait cycle. Underneath all that cushy foam is some carbon rubber for extra traction and durability. 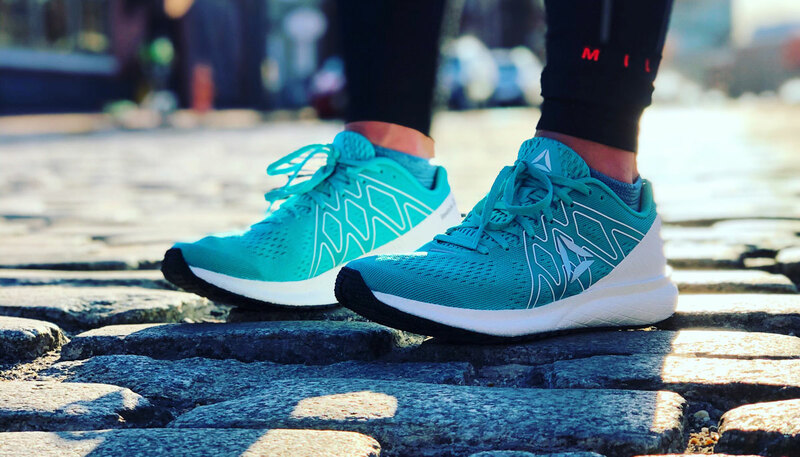 Pair all that with a simple, breathable mesh upper and you’ve got the perfect balance of lightweight cushioning (my W7.5 came in just under 7 oz). There’s decent structure to the upper so you get a secure fit, but it still has a nice roomy toe box. My wide feet enjoyed the fit. Did I mention you can have all this for a hundred bucks? Pretty great. Thomas: Some reviews have griped about the Energy being a half size too big. While I had room above my big toe, I liked the fit. I would suggest you try on your regular size and a half size down. 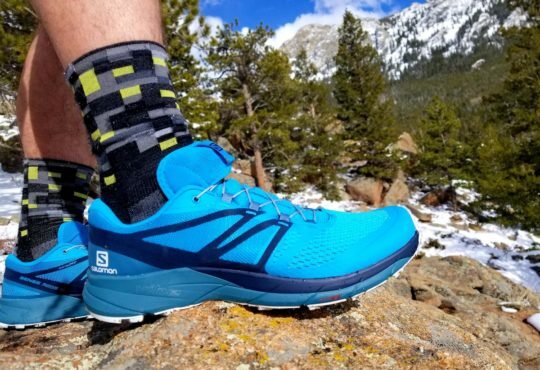 Running Warehouse has free shipping both ways, so you can easily make sure you get the best fit. 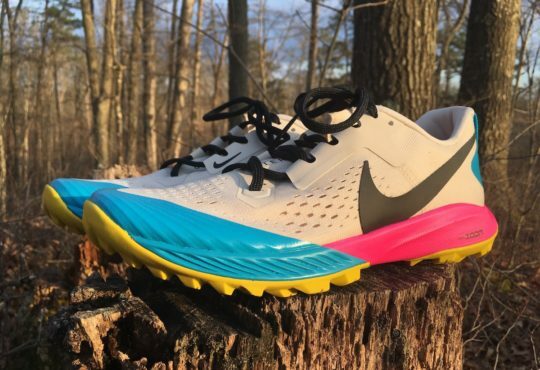 The midsole is pretty close to perfect, but I would love to try a slightly firmer version to see if the shoe could perform better at faster paces. 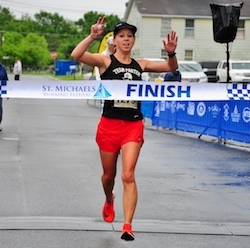 When I did striders in the Floatride Energy, the softness sapped the energy out of the turnover. Meaghan: I probably could have sized down, but like Thomas, I enjoyed the fit as-is. I did, however, have some issues with the laces. For whatever reason, they never seemed to stay tied, even when I double-knotted them. Thomas: This is one of the best shoes I have run in this year. I would compare the Energy to the Nike Epic React, Skechers Razor 3, adidas Ultraboost 19, and the New Balance 1080v9. 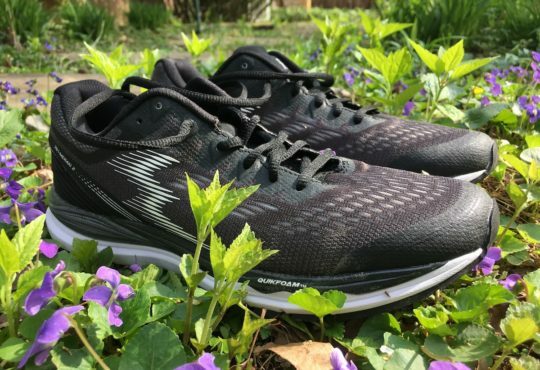 At $100 you can use the money you saved to get the Reebok Floatride Run Fast for speedwork and racing. That would be a sick duo. 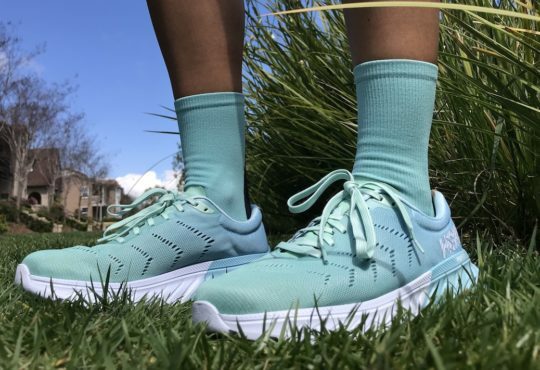 Meaghan: The Reebok Forever Floatride Energy is a great daily trainer. It’s hard to find a shoe that checks the boxes for aesthetics and performance, but Reebok has done just that. 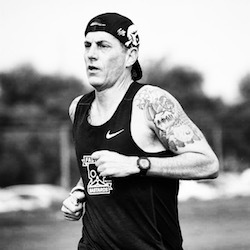 It works for fast days, recovery runs, short days and even long runs. I’ve put over 55 miles on mine so far and there are no signs of wear. These beauties will certainly stay in my rotation throughout this marathon cycle.